I took a few pictures of them last night…. 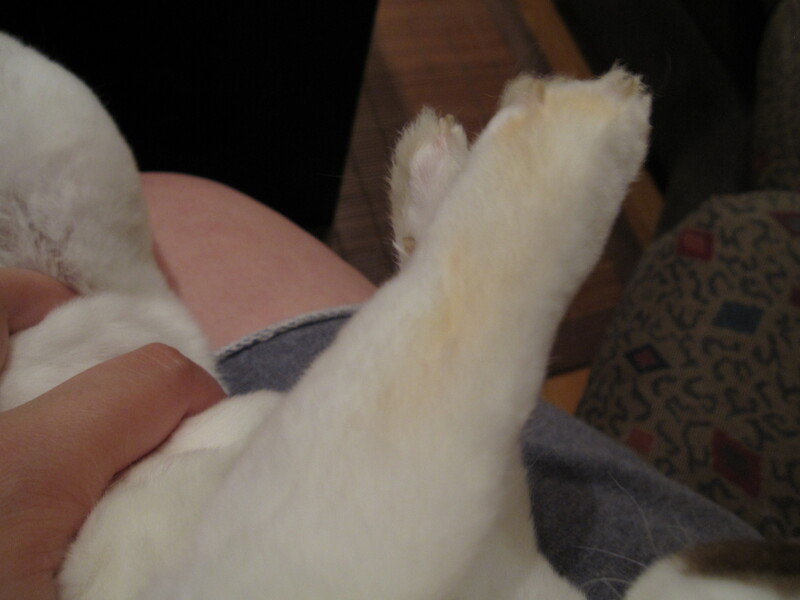 Jack ate, and therefore touched, carrots yesterday….so he got a bit orange. Ahh they are beautiful. 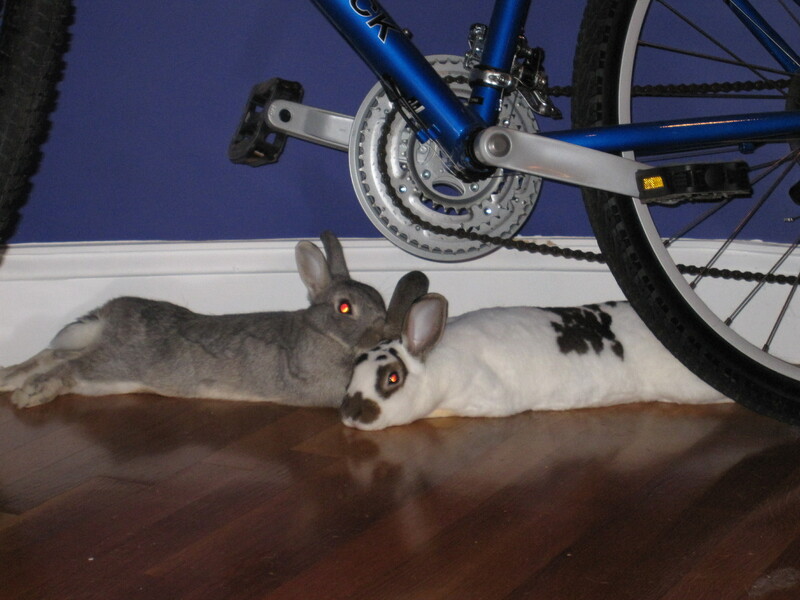 I love when rabbits snuggle. 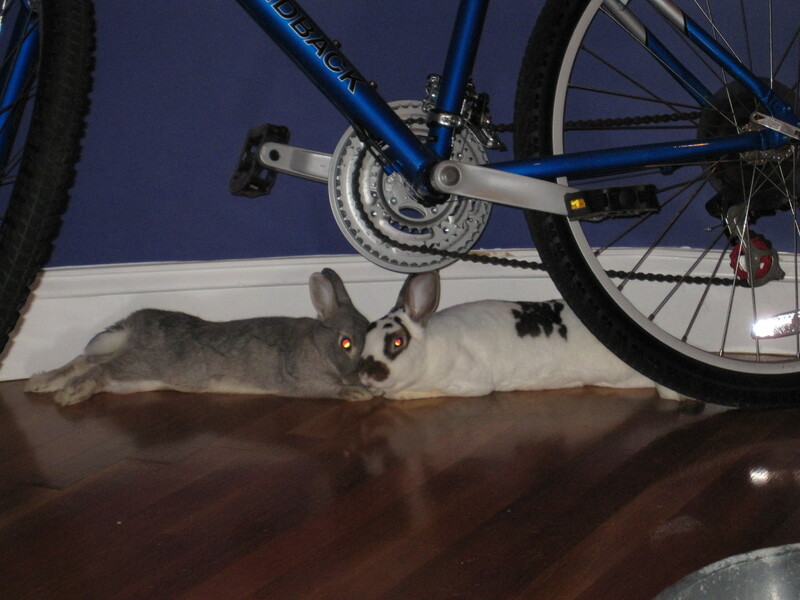 Do they have trouble getting around on the wood floors? 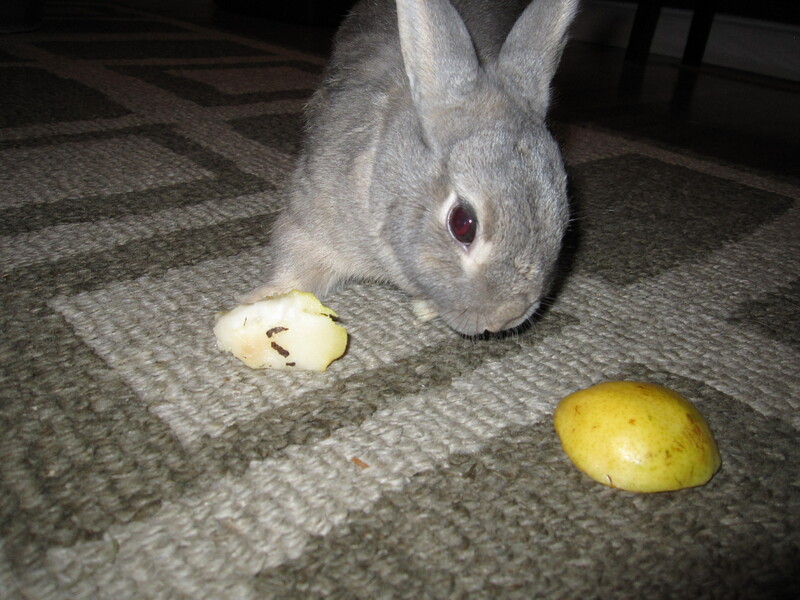 I have a rabbit too and I have to scatter mats all over the living room floor so that he does not skitter across the floor when he tries to move around.